A thirteen-week series will start on Tuesday, January 8 at 6 p.m. in the Fellowship Hall of St. Paul Lutheran Church (Jackson). 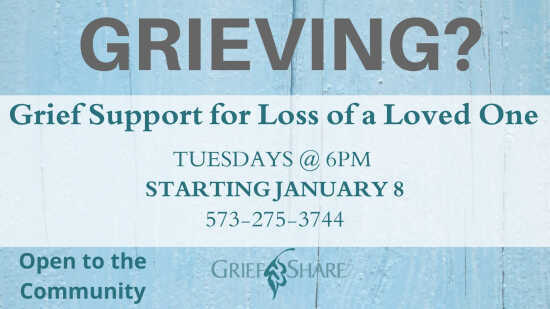 This group is open to anyone who has lost a loved one (parent, sibling, or other close family member or friend). These sessions are also open to the community. Contact: Molly Strickland at 275-3744.